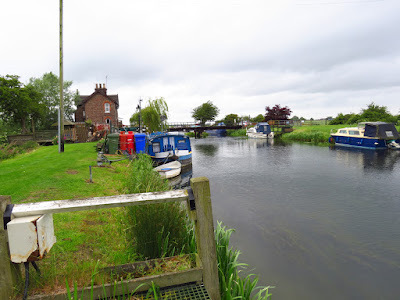 An overcast, windy day, with brief sunny spells, I headed to Hempholme for a new stage of the river. As I crossed Bethell's bridge, the first road bridge since Hull Bridge, it started raining. The clouds moved fast and I waited the shower in the parking lot in the car. 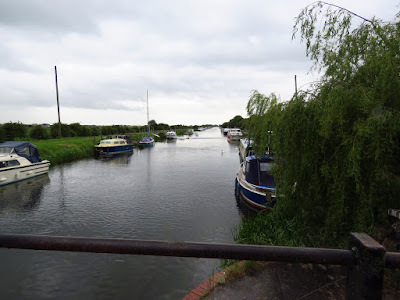 Today's circuit involved going down river from Bethel Bridge, turning right on Scurf Dike to join the old course of the river Hull and back up from Hempholme Lock. 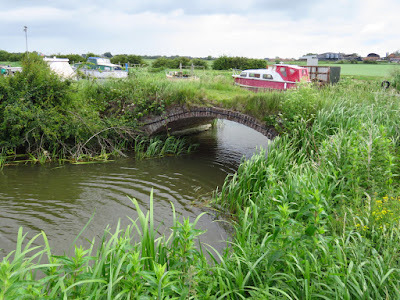 This section of the river Hull is under Driffields Navigation and was straightened in the early 1800s between Hempholme Lock and Bethell's Bridge, bypassing in 1km the meandering old course of the river Hull. 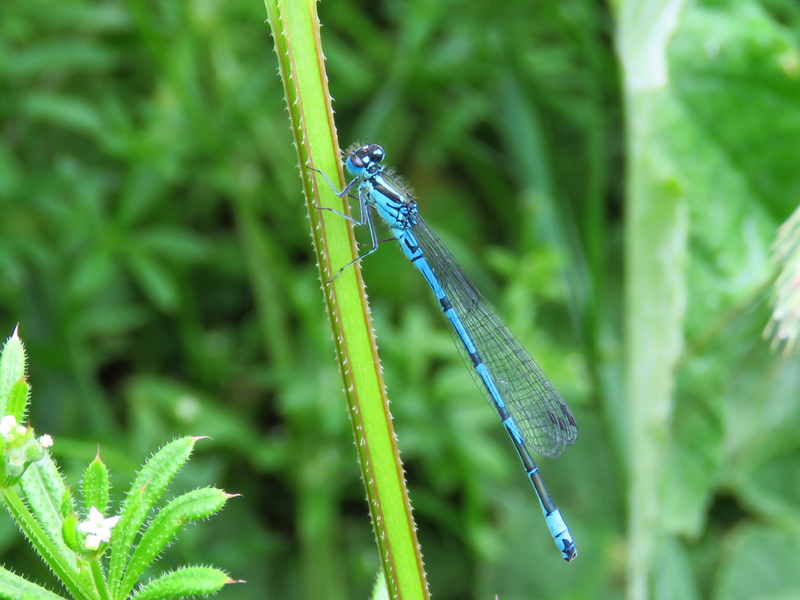 As I looked over a small ditch of transparent water by Scurf Dike, a Kingfisher darted away as a blue lightning strike. Scurf Dike is directly connected to the river, and a small brick footbridge of a single arch crosses it. It's got abundant emergent vegetation and water plants. There are woods at both sides of the dike. 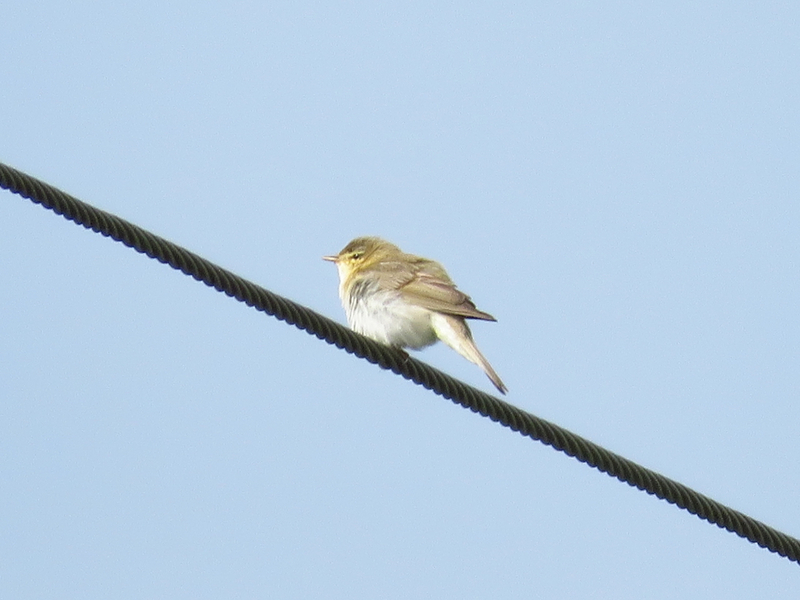 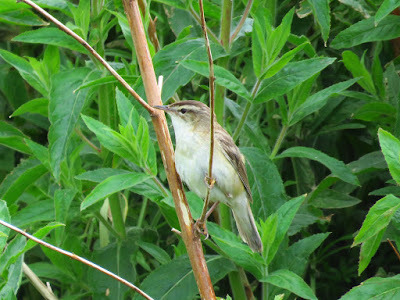 A Garden Warbler sung from a bush at the other side of the dike. 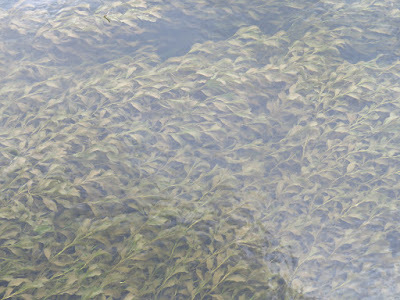 Large carp could be seen swimming through the water. 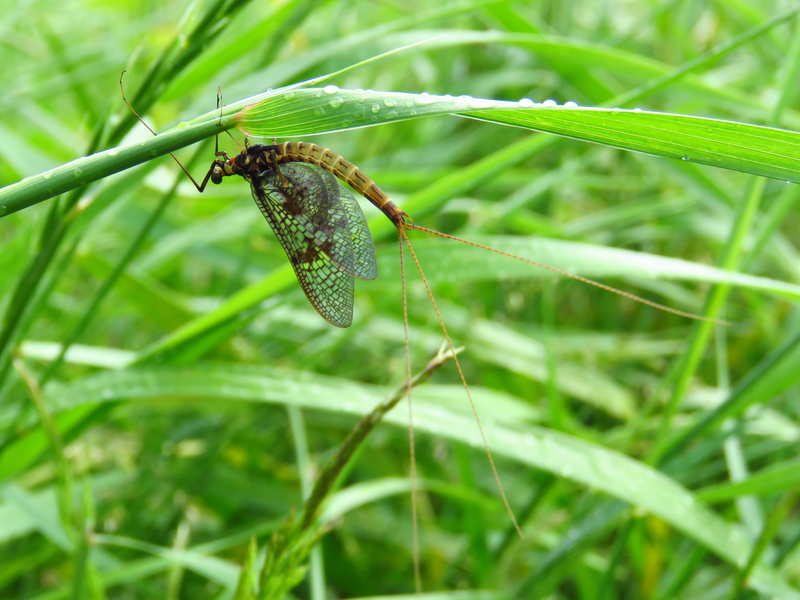 A brief sunny spell brought a few insects out. The old course of the river is now an overgrown deep and narrow creek carrying a trickle of water, and the public footpath around the southern section of it appears to have been only trodden by roe deer in recent times. 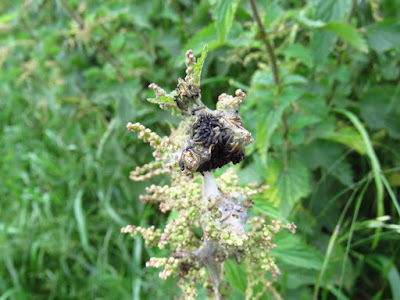 I managed to avoid the nettles and trundled on, briefly stopping to watch a Buzzard being mobbed by a Carrion Crow. I was relieved to finally get to the wooden footbridge over Beverley and Barmston Drain just north of Tophill Low nature reserve. 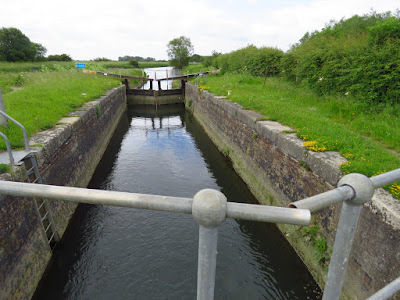 I joined the start of the stage at the lock and weir and crossed to the other side of the river to hace a closer look. 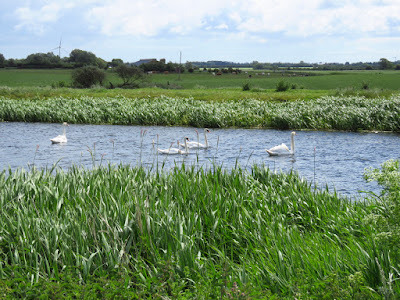 Swallows, Sand Martins, House Martins and Swifts flew over the river. 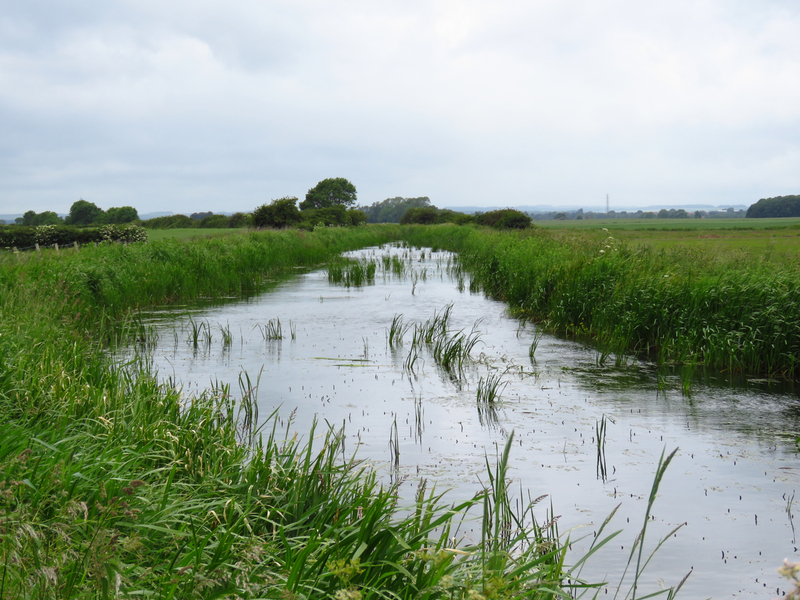 It didn't take long to walk the mowed footpath by the New Cut and then to Emmotland. 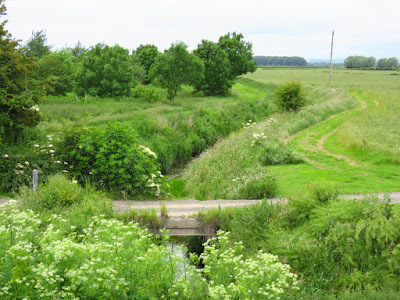 In Emmotland Junction the river joins Frodingham Beck and there is a metal footbridge over it, and the footpath continues along Frodingham Beck. I must inadvertently flushed a female Goosander from the river, which was a nice surprise. 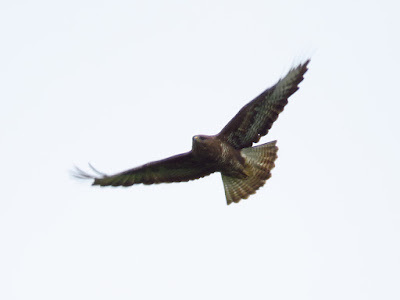 She flew up in a circle and then south. The next stretch of river up to Corpslanding does not have a public right of access. 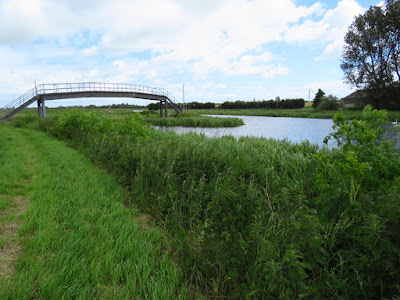 I crossed the footbridge and continued for a little while alongside Frodingham Beck on an overgrown path and then returned to Bethell's bridge for a spot of lunch. Part of the New Cut, the straight navigable section of the river Hull, looking south from Bethell's Bridge just after a shower. 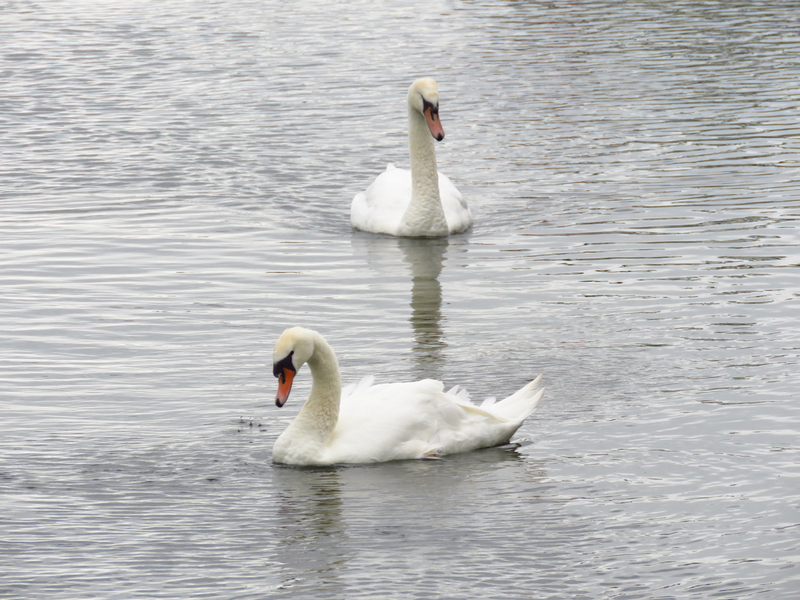 Mute Swans by the bridge. 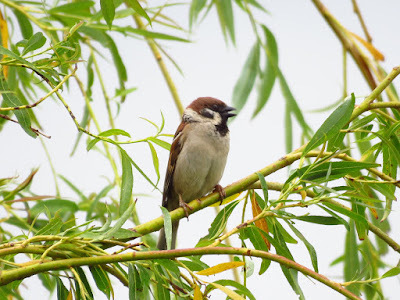 Tree Sparrow chirping. 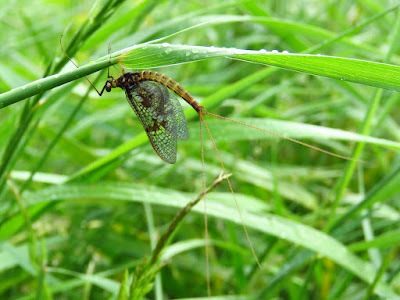 They are quite numerous around Bethell's bridge. Boat Moorings with Bethell's bridge on the background. 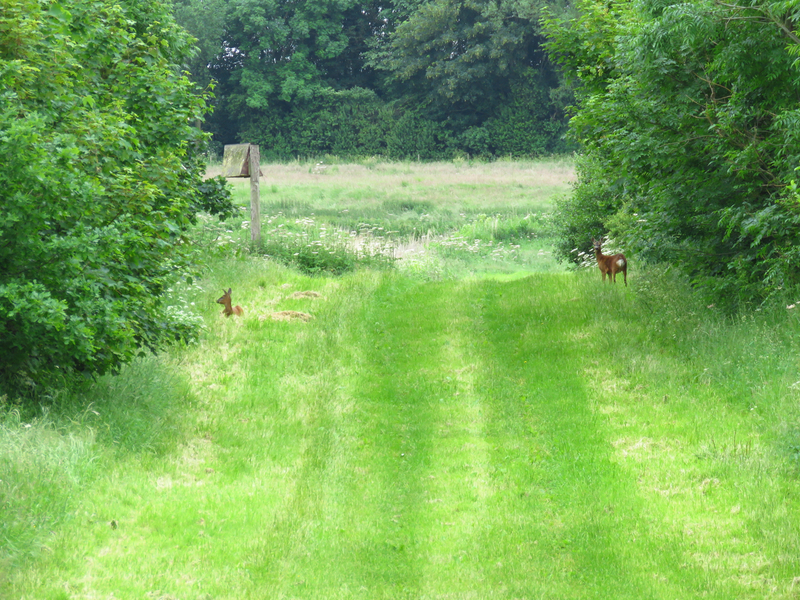 Two Roe Deer resting on a grassy ride. 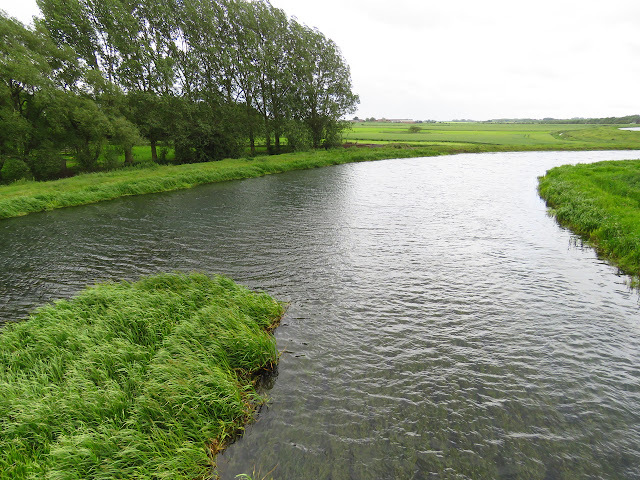 Old course of the River Hull near Bethell's bridge. 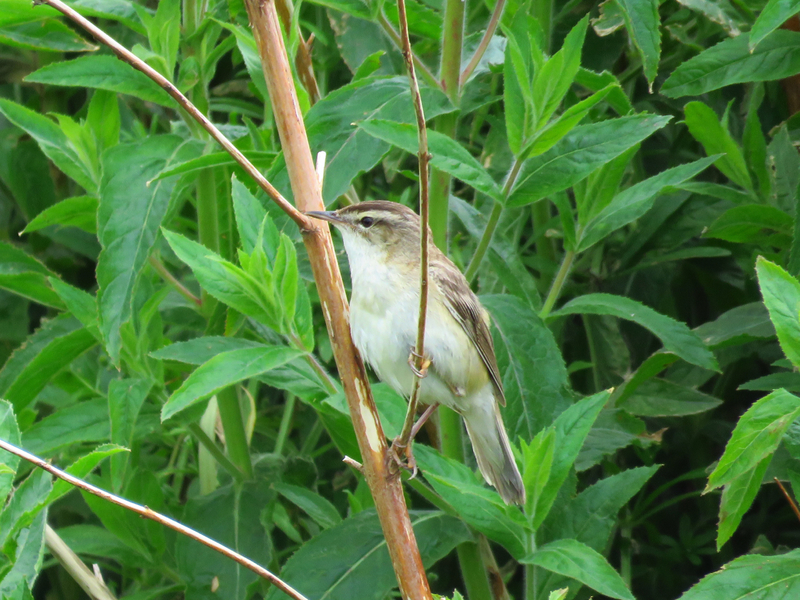 Sedge Warbler by the old course of the River Hull. 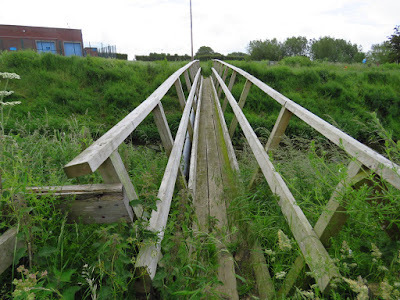 The wooden footbridge over Beverley and Barmston Drain. 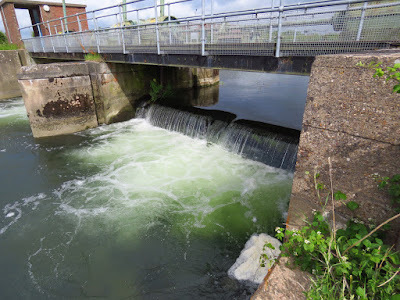 Weir from the East bank. 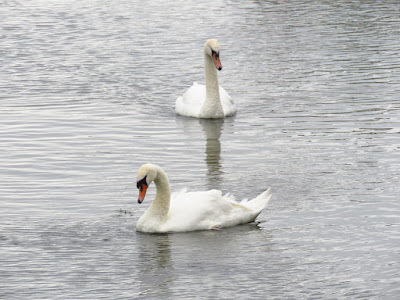 A group of Mute Swans fed on the clear water of the river upstream of Bethell's bridge. Looking down onto the river Hull upstream from Emmotland. 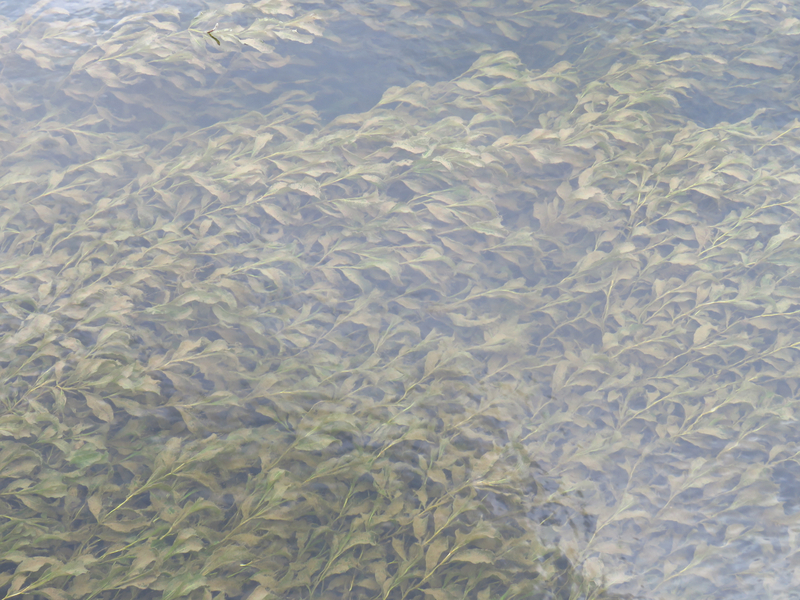 The plant is Potamogeton crispus I believe. 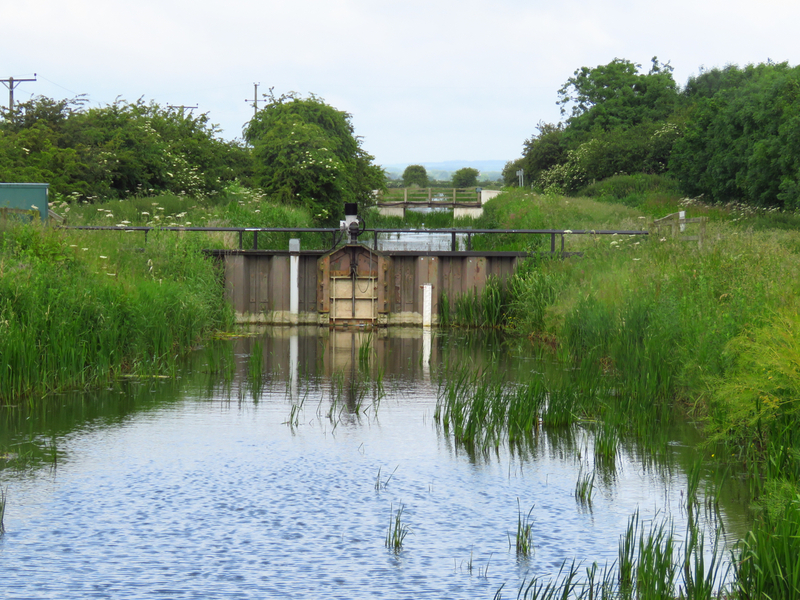 Looking upstream from Emmotland Junction. 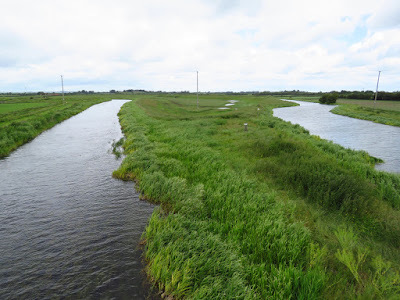 The River Hull on the left.